Android has a native way to see a log of the notifications you receive, but it's quite hidden from most eyes. 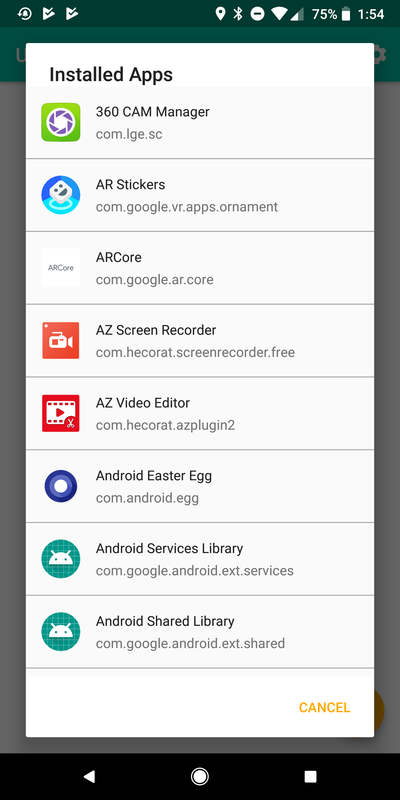 To access it, you need to add a widget, choose Settings among the list of widgets, and then Notification log. 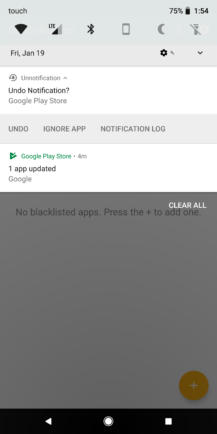 It helps you see a notification you may have dismissed by mistake and, more recently, I've used it to figure out which notification channel something was coming from after dismissing it and thinking that I don't need that particular type of notification or I want to lower its priority. 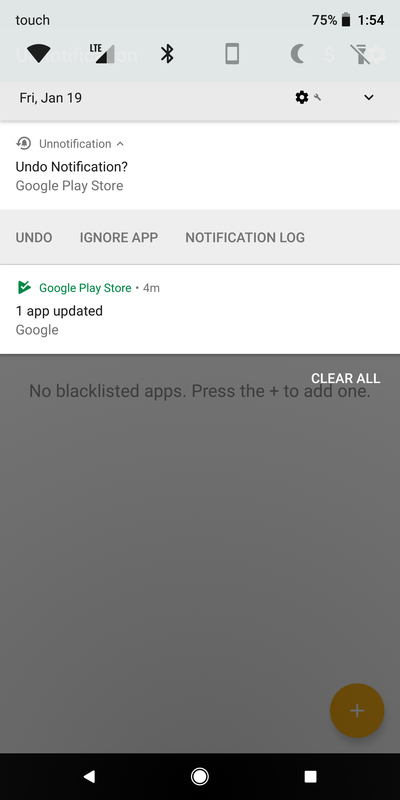 But if you don't want to mess with the notification log, there's an app you can install to bring back the last dismissed notification, kind of like an undo button, and it's simply called Unnotification. It has been available for a while, but it just fell on our radar now. The way it works is it pop ups a short temporary notification each time you dismiss a notification asking if you want to bring it back, or you can use a Quick Setting toggle instead. 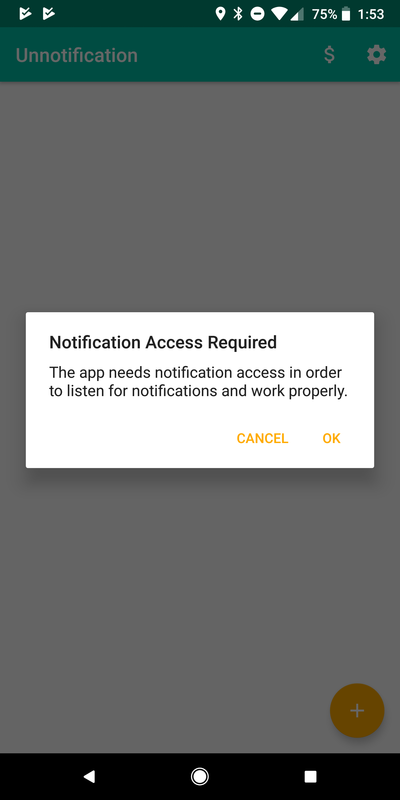 After installing it, you open the app and are asked to give it notification access. That's crucial to the way the app works. Beside that, the interface is pretty straightforward. 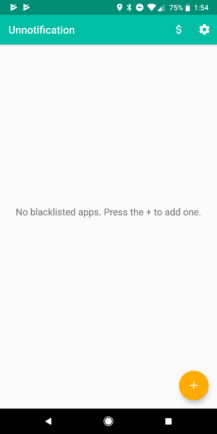 The main screen is where you can add blacklisted apps, i.e. those for which Unnotification won't pop up. Unnotification setup (left), main screen (middle), and blacklisting apps (right). And there's a donate button as well as a setting cog where you can set the delay after which the Unnotification disappears. The default is 5 seconds. 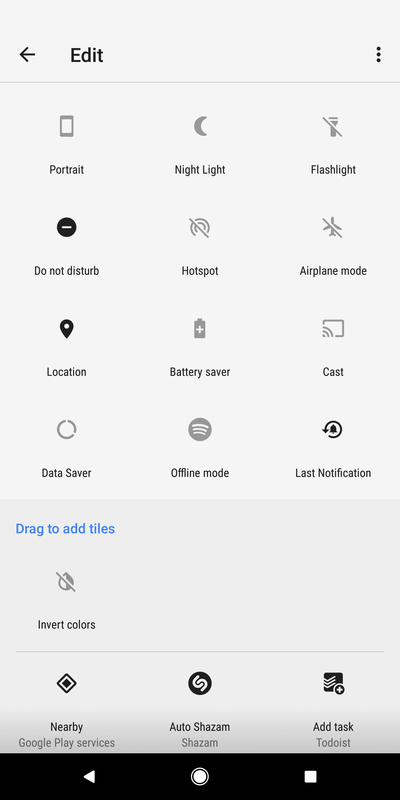 And if, like me, you find the idea of a notification showing up for each dismissal overwhelming and intolerable, then you can disable that and simply set the app to work through a Quick Setting toggle. 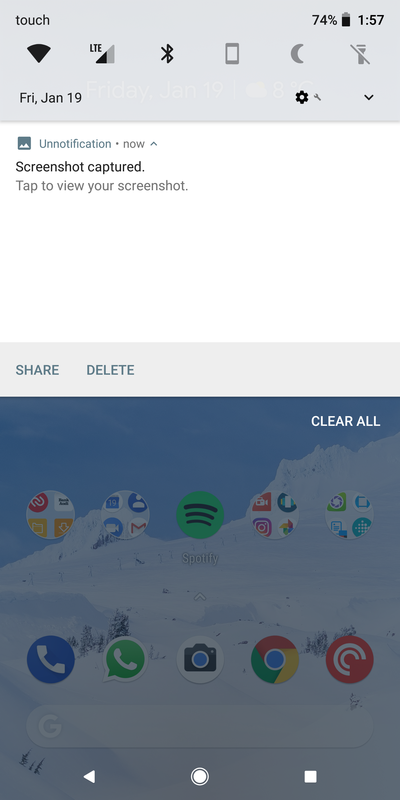 That makes more sense to me, as I would never want a reminder for each swipe, I just need an undo I can hit up only when needed. 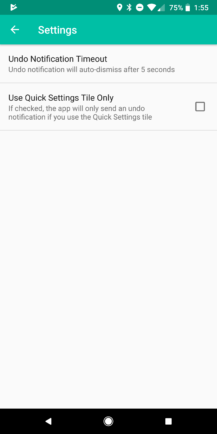 Settings (left), temporary Undo notification (middle), and Last Notification quick setting (right). So what happens when you undo and bring back a notification, whether it's from the temporary message or from the quick settings? 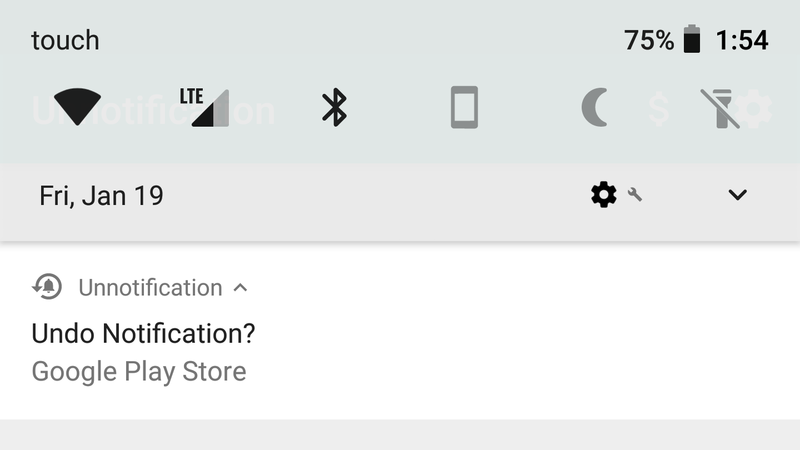 You get the notification back under the name of Unnotification, but it shows the icon of the app it belonged to originally. And the message or content is there as well. 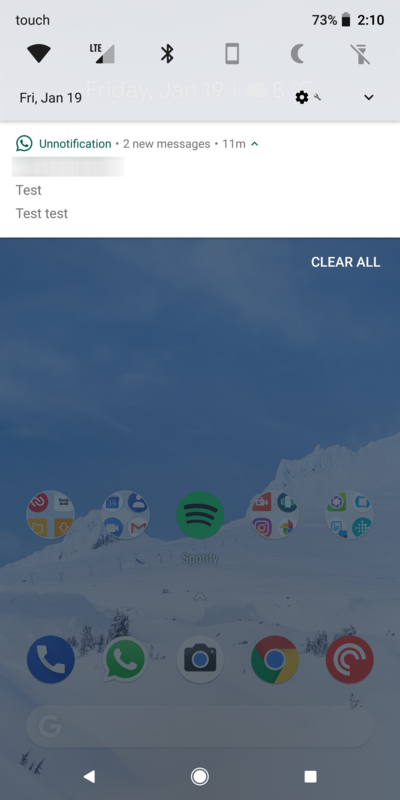 Undone notification for WhatsApp (left) and screenshot captured (right). Don't expect to be able to interact with this resurrected notification the same way you would the original. For example, bringing back a dismissed WhatsApp notification didn't offer me the quick reply option, but the name of the sender, WhatsApp icon, and the messages were intact. 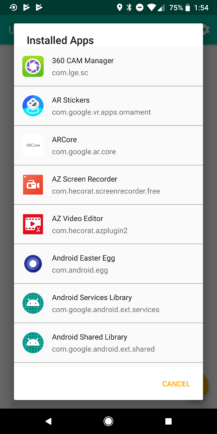 Another example is undoing a dismissed screenshot capture notification where the image itself was nowhere to be found, but the icon and text were carried through, as well as the quick actions. 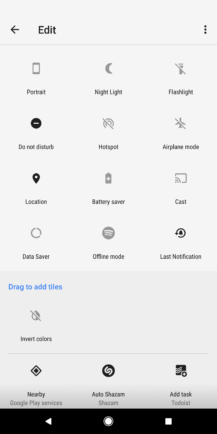 However, tapping on Share or Delete didn't do anything, so the functionality wasn't there. There's obviously a limit to what Unnotification can do, and it's not exactly like an undo button, but it gets close and it might be less hacky for average users than the notification log option I explained at the top. The app is free and has no ads as far as I can tell. There's a donate option though in case you want to support the developer.